I know what you’re thinking…pasta is pasta…it’s all about what you add to it. Right? Well…perhaps…unless you’re gluten-free. Be that as it may, sometimes my roommate has surprises up her sleeve. She was out on one of my last-minute errands one evening to the grocery store (for something I’m sure I thought I had in the pantry, but really didn’t), and upon her return she came back with a box of Ronzoni Gluten-Free Rotini. Hmmm…a new gluten-free pasta I hadn’t heard of before. This wasn’t common. There are many I haven’t tried yet…but this brand I hadn’t even heard about yet. Interesting. Okay…inconclusive on the taste-test portion of this with someone who doesn’t have to eat gluten-free pasta. The fact of the matter is…Ronzoni does put out a fantastic product. I love the way the noodles cook. It takes about 9 minutes to reach that perfect al dente. No fooling around. My roommate complimented me on both nights we’ve eaten this with how I cooked the pasta perfectly. YAY! The noodles hold up to the boiling process as well as the draining. They don’t shred or fall apart when they are dumped into the marinara sauce. Nor do they fall off the fork when pierced just before taking a dainty bite…or a mouthful…depending on hunger level. 2.) This is the gluten-free pasta of champions. 3.) Multigrain = gluten-free perfection for taste, texture, and flavor. Ronzoni really turned up the competition when they got into the gluten-free market. I like how they take a nice mix of all the gluten-free grains and incorporate them into a sturdy, satisfying noodle. They currently offer Spaghetti, Penne Rigate, and Rotini in this line. Oh, and the gluten-free pasta is produced in a dedicated gluten-free facility…and each ingredient is verified to be gluten-free. Cross-contamination is not a problem because the pasta making process is strongly controlled to maintain the gluten-free status of the produt. I love that Ronzoni took this extra step to guarantee safety for it’s gluten-free consumers. 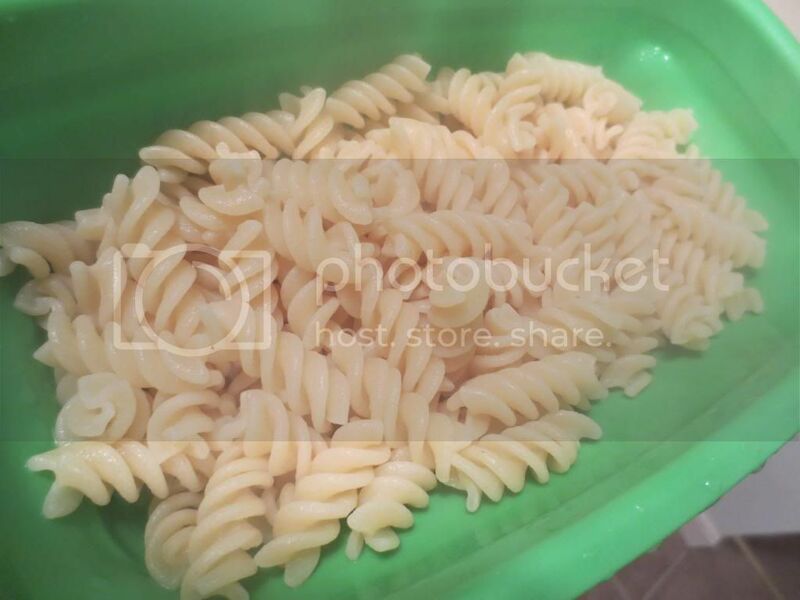 I prepared the Ronzoni Gluten-Free Rotini for dinner the night I returned from Disney World. I have pasta and marinara in my pantry. It was a given. I thought the noodles cooked to perfection in the boiling water. I loved that when I drained them, I didn’t have bits of noodles…just full, and fully-cooked, pasta. I love that the sauce didn’t distract from the flavor of the noodles. I thought the starchiness was spot-on for a pasta. And that everything held together with each and every bite. Nutritionally speaking, Ronzoni Gluten-Free Rotini gives you the standard 2 ounce serving size (which is about 3/4 cup). This serving gives you ample pasta which will leave you satisfied without feeling bloaty and overstuffed as so many pastas can do. This serving will provide you with 200 calories and 2 grams of fat. Not bad for a boxed pasta, I must say. In addition, this pasta is cholesterol-free, sodium-free, and sugar-free. You also get 2 grams of fiber and 4 grams of protein, which leaves you just on the right level of full. I really am enjoying my Ronzoni Gluten-Free Rotini. So, despite not being able to compare this pasta with ‘regular’ pasta when asked, the roomie rocked and choosing a new gluten-free pasta to try out. I think this will be added to the quinoa pasta that I keep in the pantry as well. So good. Loved it all the way to that last forkful. Spaghetti and pasta were my favorite thing growing up…and even going gluten-free…that hasn’t changed. The gluten-free market has been expanding and thankfully, getting better and better with each version out there. Forget mushy brown rice pasta…turn up the flavor and the texture. 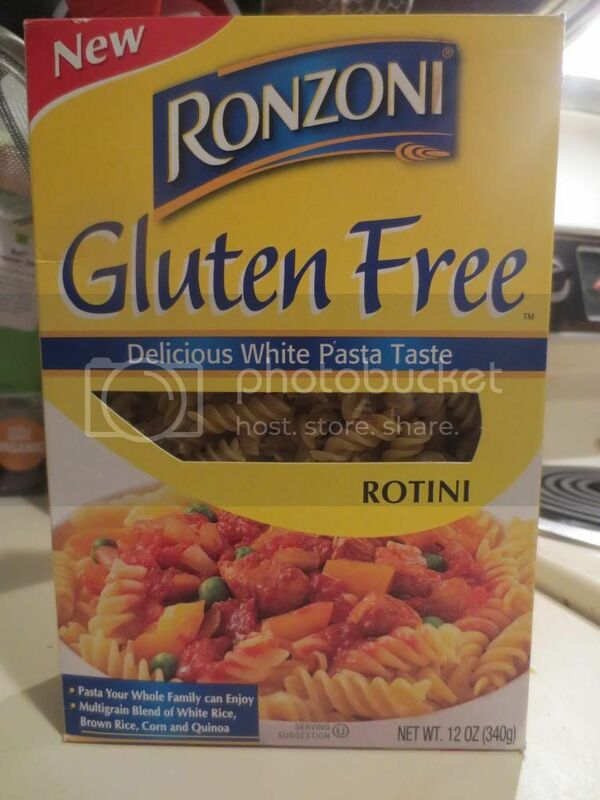 Give Ronzoni Gluten-Free Rotini a try. This entry was posted in Clean Eating, Entree, Food, Gluten-Free, Italian, Pasta, Products, Review, Sauce, Vegan, Vegetarian by The Celiathlete. Bookmark the permalink. I actually heard about this a few weeks ago, I read about it online somewhere but haven’t seen it in stores yet. This is awesome though, I like Schar’s Gluten Free pasta for the texture, but it is quite pricey and you can’t find too many coupons for it. Can’t wait to try this! I haven’t had regular spaghetti noodles in about 3 years! I agree. Schar has amazing pasta. Really delicious! I hope you can find this near you soon. I’d love your thoughts on it. Alright I have tried it twice now, and I just bought it yesterday! The first time I definitely undercooked it, I am an inpatient boiling cooker. I almost never set a timer so that’s never very accurate, though back in my gluten days, I could easily figure out timing! Still tasted decent and I ate it all anyway. I found it for $2.99 here (NW OH), I had the straight spaghetti which I literally haven’t had in years. I bought it at Kroger, but if I can find it at Meijer, its probably cheaper. I also saw Barilla has a GF pasta—um since when?! I used to buy Barilla all the time! My store had a bunch of different pasta styles which I will totally be buying in the future. The second time I probably slightly overcooked it, but I really prefer my pasta softer. 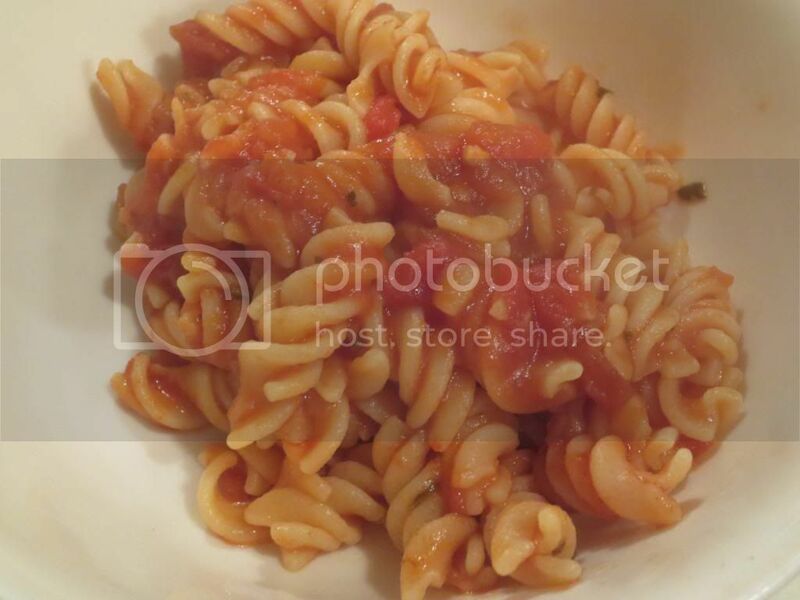 It looks like gluten pasta, has the same texture, and yes, it totally tastes like gluten pasta! Surprising I couldn’t taste the quinoa, I don’t really like quinoa so I was a little apprehensive about buying it, but I am glad I did! Great suggestion, as usual! YAY!! So glad that you agree with the assessment. I was impressed by it. And yes…pasta…especially the gluten-free kind…is difficult to judge how long to cook. It never is as the box says.